In just a few months, little Riley Howard will turn 2-years-old. An incredible milestone for a little girl, who already knows all of her letters, loves to read and play with the cooking set in the playroom at the Ronald McDonald House of Charlotte. You would never know by looking at her innocent face that Riley has been through more in the first year and a half of her life than most people experience in a lifetime. At just 14 months old, Riley was admitted to Levine Children’s Hospital in Charlotte after doctors discovered stage 4 neuroblastoma on her kidney. 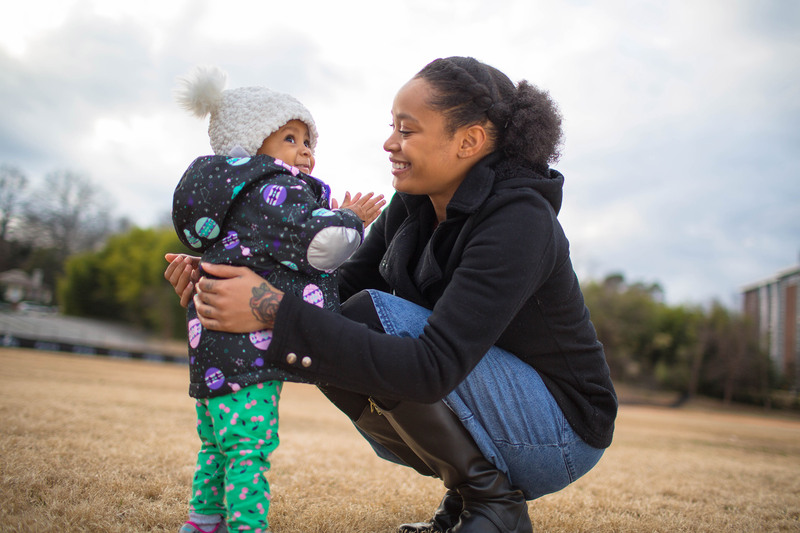 “I felt it one day at church,” said Riley’s mother, Damajah Underwood. “This huge knot on her stomach, right where her kidney is.” The complications did not stop there. Doctors would later find that the cancer had spread to the bones in her tiny body. Damajah, only 23-years-old, was focused on pursuing her nursing degree when her world was turned upside down. She not only had to watch her baby fight a life-threatening illness, Damajah now had to figure out how she was going to afford traveling back and forth so Riley could receive months of chemotherapy treatment. Damajah and Riley live in Southern Pines, North Carolina, more than two hours away from Levine. “I had never heard about the Ronald McDonald House until this,” Damajah said. 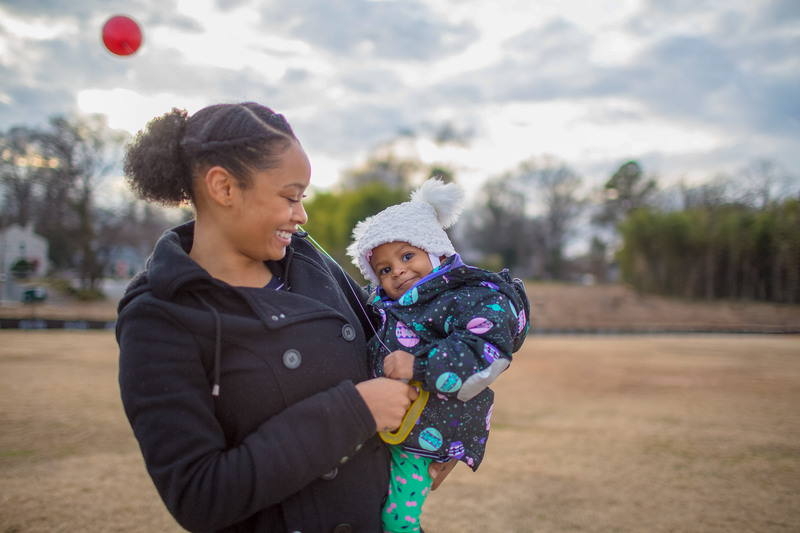 Once she learned the Ronald McDonald House in Charlotte could provide her and her daughter a home away from home during one of the most difficult times in their lives, Damajah and Riley moved right in. Today little Riley sits in her mother’s lap with a huge smile on her face. She’s wearing a Disney princess shirt, but she is the real princess. Her head donned with a floral headband and little gold shoes on her precious feet. You can hear her belly laugh echoing through the halls of the Charlotte House as someone chases her through the kitchen. Riley has only two more treatments and, in a month, Damajah will finally be able to take her home. “I’m ready,” she said. Happy Birthday to our Eastern N.C. Houses! 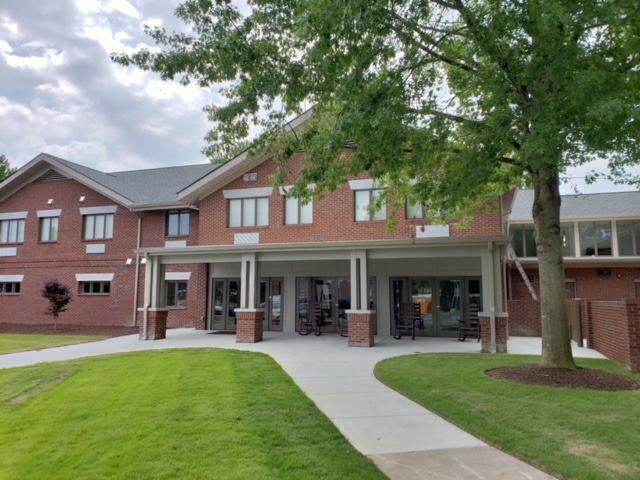 This week, the Ronald McDonald House inside James and Connie Maynard Children’s Hospital at Vidant Medical Center celebrated its fifth anniversary. Since opening its doors in 2013, the House has served more than 123,000 guests. Whether it was a cup of coffee, a hot shower or just a safe space to breathe, the House has offered families a chance to feel like they are away from the hospital without actually having to leave. Congratulations! 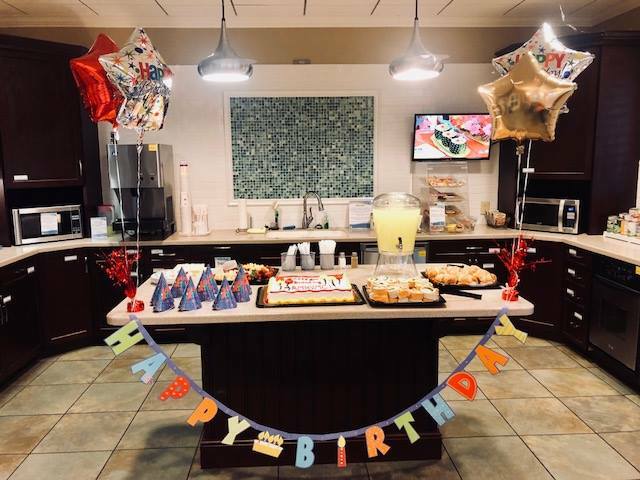 On June 21st, the Ronald McDonald House of Eastern North Carolina celebrated its 31st birthday! The House certainly has grown over the years. Since opening its doors in 1987, the House has had more than 27,000 admissions and continues to grow every year, reaching more and more families. Congratulations RMH ENC!